Day #39 – Movie Premiere! Today is the day that the tiny residents of Blockville have been waiting for! Yes, it’s Premiere day for The LEGO Movie 2: The Second Part. 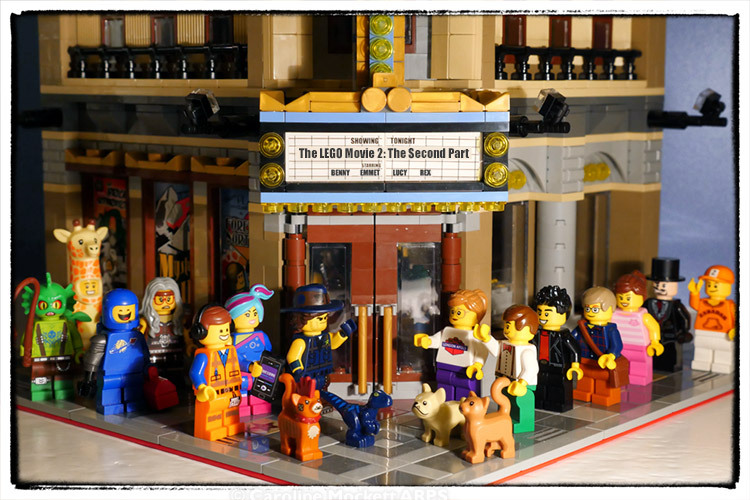 There was much excitement as a large gang of sigfigs queued up patiently outside the Palace Cinema to catch a glimpse of their heroes, Benny, Emmet, Lucy and Rex Dangervest! Along with Sigfig Caz, you can also see Jakob from Brick Bakery, JC from Small Brick City, Bob from robinhullbuilds, Ruth and Pucky from Adorabuild, the Legolamaniac with his cat, Vega and newest arrival, Zabadak!